With vernacular architecture, built in the 16th century, this former mansion now houses the hotel lobby, reception and shops. This name was given to the town, by the double-space Spanish balcony on the south facade. Of vernacular architecture, built in the sixteenth century, this old house now houses the lobby, reception and shops of the hotel. This name was given by the town, by the Spanish double-spaced balcony on the south facade. 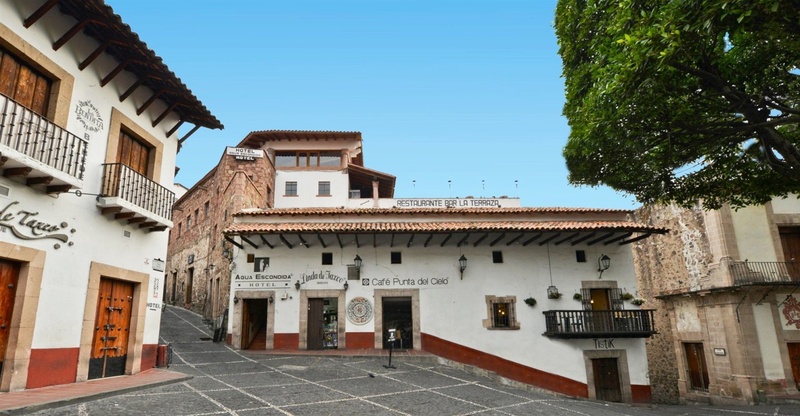 The balcony house was built as a gift from Don Hernando de Mendoza (close family of the first Viceroy of New Spain and the Kingdom of Peru, Don Antonio de Mendoza), to receive the guests at a wedding, that of Don Pedro Ruiz of Alarcón and Doña Leonor de Mendoza. From this illustrious marriage was born Don Juan Ruiz de Alarcón y Mendoza, the noted dramatist of the Spanish Golden Age, and who is known as the first Universal Mexican, for his literary contribution to consolidate the Spanish language. 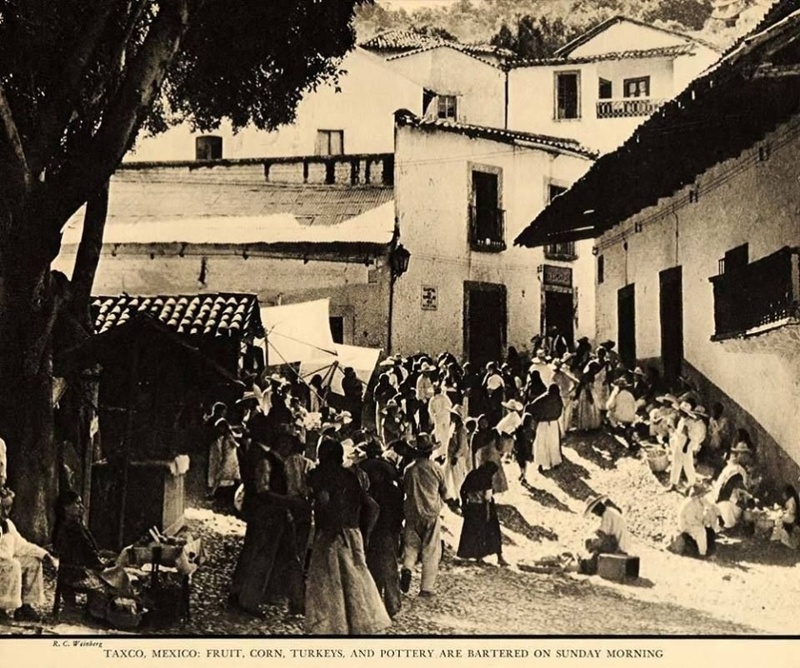 The house was a gift to the wedding godfather, Don Alonso de Villaseca, a prominent Spanish miner. In the annex to the house on the balcony, which is now also part of the Agua Escondida hotel facilities, we can find a wall where the mud pots are still embedded, which in their time contained gold, silver and jewels Of the first owners of this house. Inside the original house, there was an abundant spring of crystalline water, which collected a beautiful fountain where it was distributed to water yards and gardens. This fountain bifurcated inside the construction of what is now known as the Joyero Center, and formerly known as the alley of the "hidden water" motive of the name of the hotel. 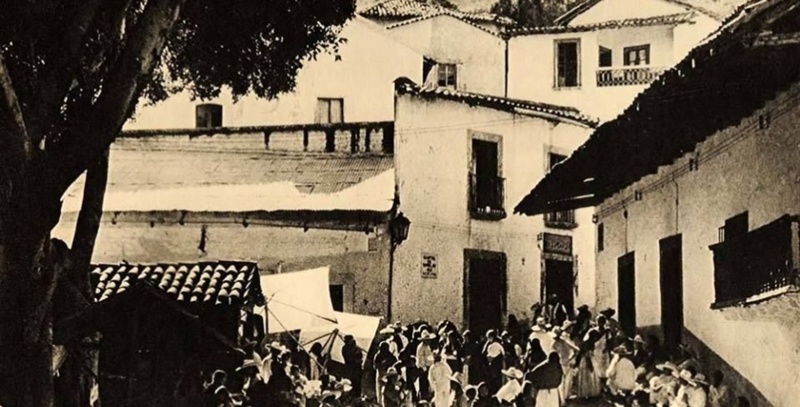 Currently the hotel Agua Escondida has been integrating some annex buildings, through high bridges, by the Entrepreneur Don Julián Cuevas, founder of the Hotel. 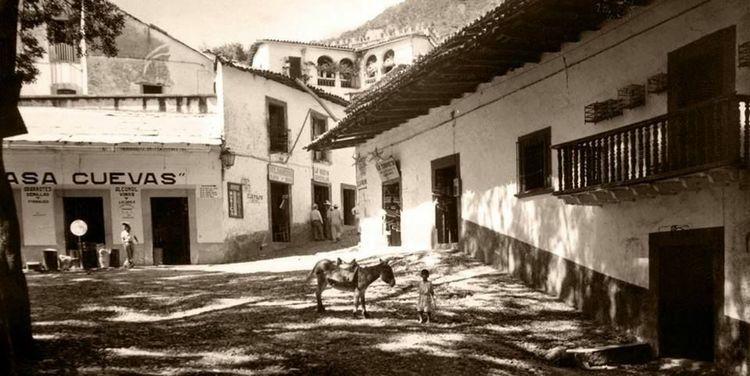 One of these buildings, which now houses the hotel parking lot, belonged to Don Manuel Castrejón Gómez, another character from Taxco who founded and invented the famous "Agua de Taxco" and "Yoli" lemonade. In 1990, through a decree of President Carlos Salinas de Gortari, the Hotel Agua Escondida (La Casa del Balcón) was declared an Artistic and Historical Monument, and considered a Cultural Heritage.